The Miss International 2012 title-holder Miss Ikumi Yoshimatsu of Japan cannot crown her successor and there will be no farewell walk for her tonight during the coronation night of the Miss International 2013 because she was dethroned by the organizers. The main reasons of the Miss International organization is her involvement with some contract dispute. The organizers do not want to have anything to do with the controversy. As a result of the controversy, the Miss International 2008 Alejandra Andreu will be on hand to do the ceremonial relinquishing of crown and sash to the new title-holder. 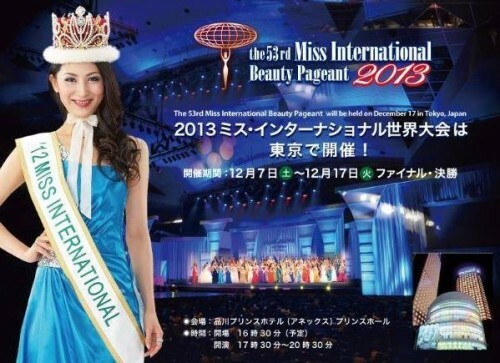 The Japanese Miss Ikumi Yoshimatsu was crowned as Miss International last October 21, 2012, she is the only Japanese winner in the entire history of Miss International. According to a similar report from the South China Morning Post, Ikumi Yoshimatsu has also been banned from this year’s ceremony after she raised her voice about allegedly recieving har(–foul word(s) removed–)ment, stalking and threats from a top agency executive. The controversy started when Ikumi Yoshimatsu was pressured to sign on Burning Productions, a film production company which is rumored to be linked with the Japanese underworld. She refused and went ahead by starting her own company.